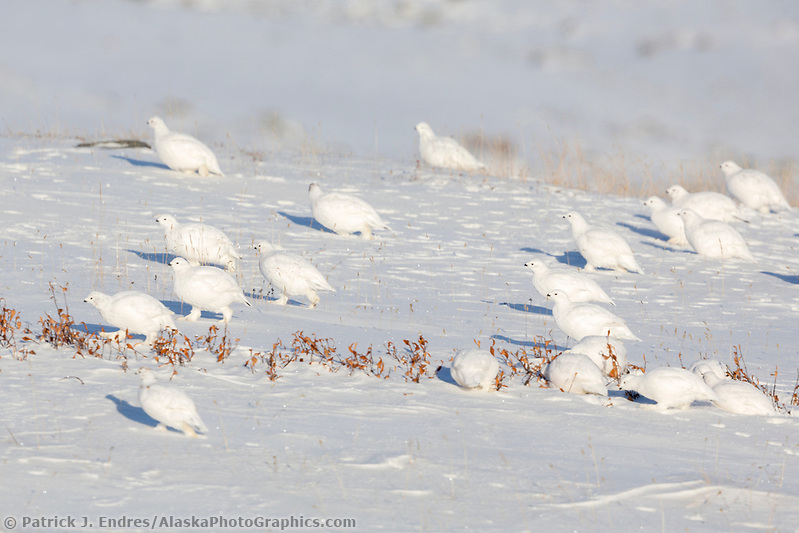 Arctic wildlife of Alaska with information and links to photo galleries. 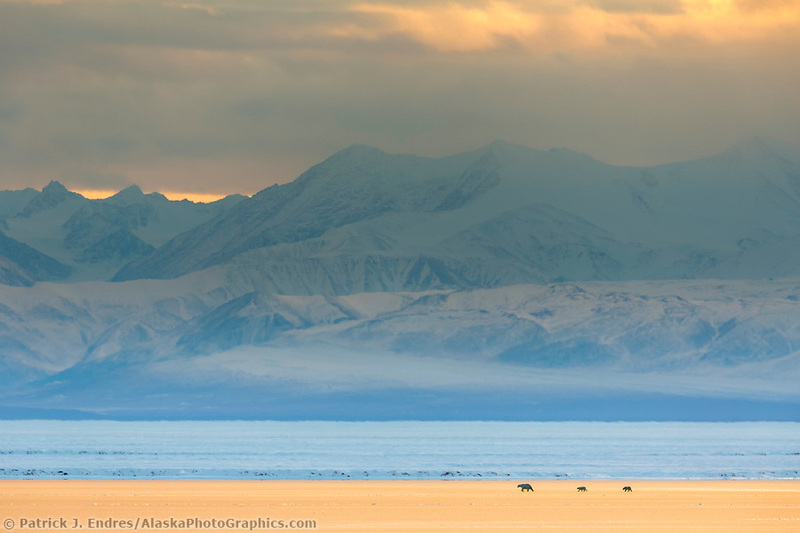 Alaska’s Arctic is an extreme wilderness landscape, inhabited by animals that have adapted to life in a harsh climate. 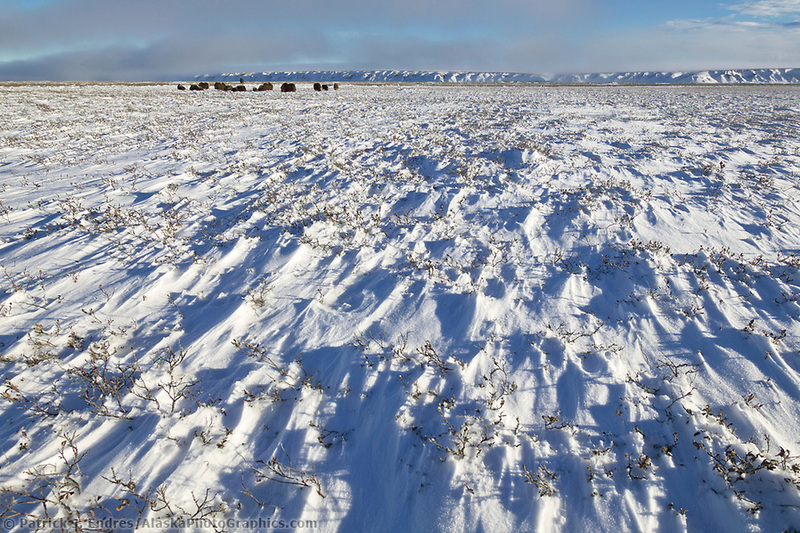 It is one of my favorite places to photograph, perhaps because of the rugged conditions. 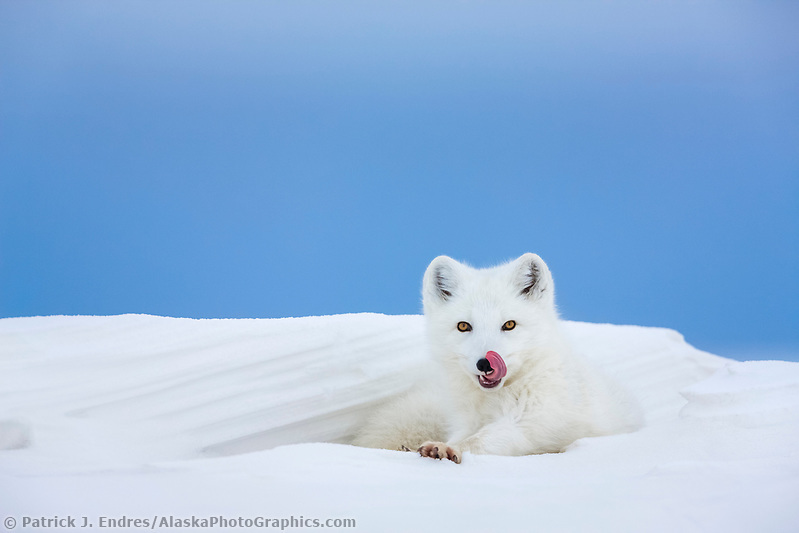 All of the Arctic wildlife photos on this site are available for license as commercial stock photography or to purchase as fine art display prints for your home or office. During the winter the Arctic can be extremely cold, as temperatures can plummet to minus -45 °C (-50 °F) degrees and colder. 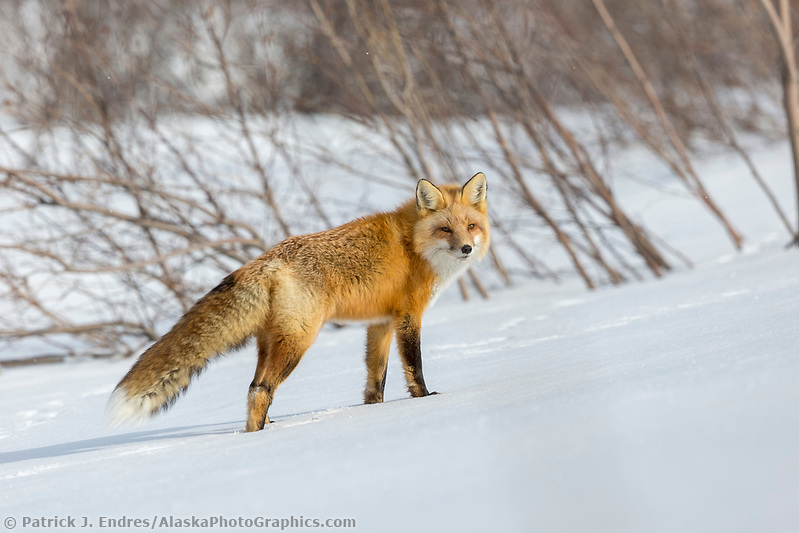 Animals that live in the Arctic have developed unique characteristics to survive amidst the snowy, frigid temperatures. I remember during one photographic excursion, the thermometer bottomed out at minus -55°F and my colleague and I put all our energy into staying warm and safe. In contrast to the dark and chilly winters, the summers can be warm, and full of constant sunshine. How is the Arctic defined? All require a great deal of sophisticated and efficient natural adaptations. 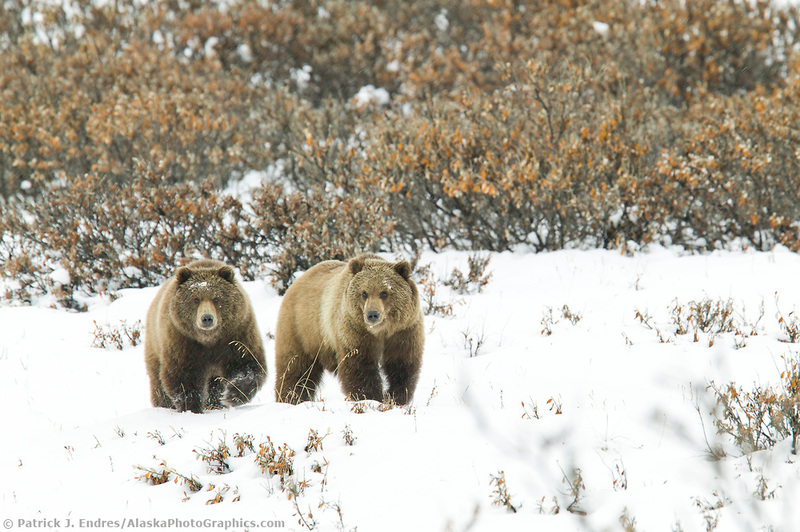 For the non-migratory and non-hibernators, heat management becomes the critical factor. In order to maintain a certain body temperature, heat is either contained by a well-insulated coat or feathers or, generated internally through energy created by the breakdown of food. The adaptations spin off these two fundamental principles of heat conservation. Allen’s Rule suggests that species in the far North have a greater body mass per surface area ratio. In other words, There is less total body surface area to lose heat through in proportion to their overall size. Small ears, shortened noses, etc. are such adaptations. 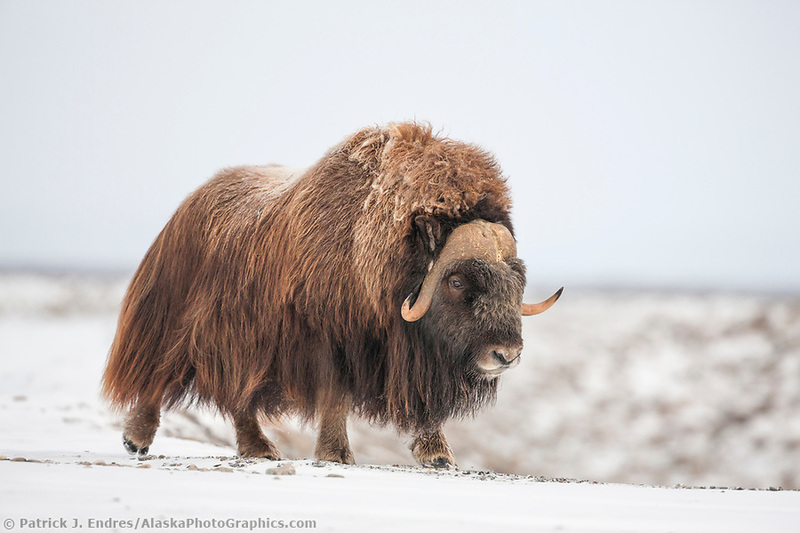 The musk ox is an animal that displays the characteristics of Allen’s Rule. Thick blubber and fur insulate the polar bear against the cold, and its translucent fur, which appears white or cream-colored, camouflages it from its prey. In accordance with Allen’s rule, The bear has a short tail and small ears that help reduce heat loss, as well as a relatively small head and long, tapered body to streamline it for swimming. Stiff hairs on the soles of its paws provide insulation and traction on ice. 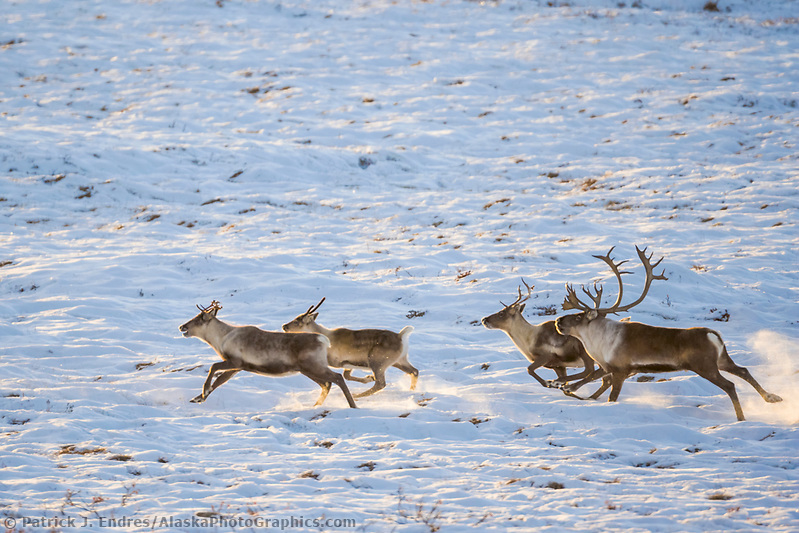 Efficient travel is also important in the snowy conditions found in the Arctic. 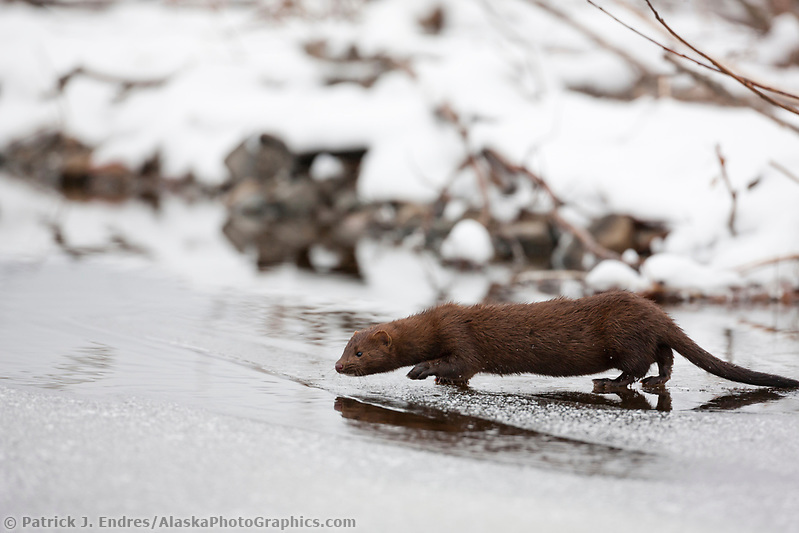 Both predators and prey have both developed effective means of travel and transport through the snowy and icy environs. 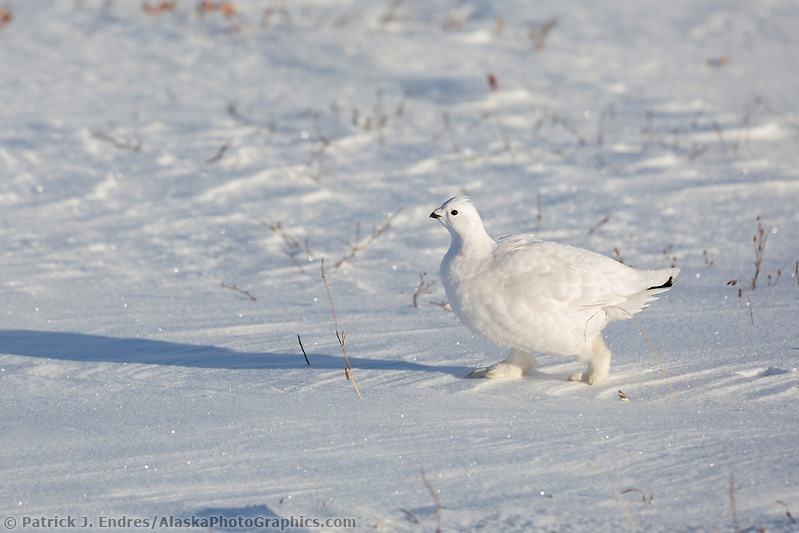 The Ptarmigan, for example, has feathery feet that serve as snowshoes, enabling them to move more easily across the snow. 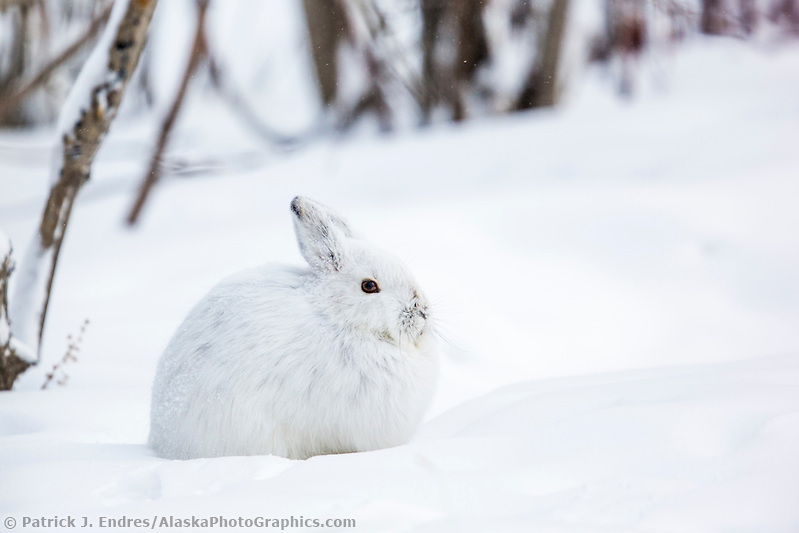 Other Arctic wildlife like the snowshoe hare, lynx, and caribou, have enlarged feet that aid in their travels on the snow. 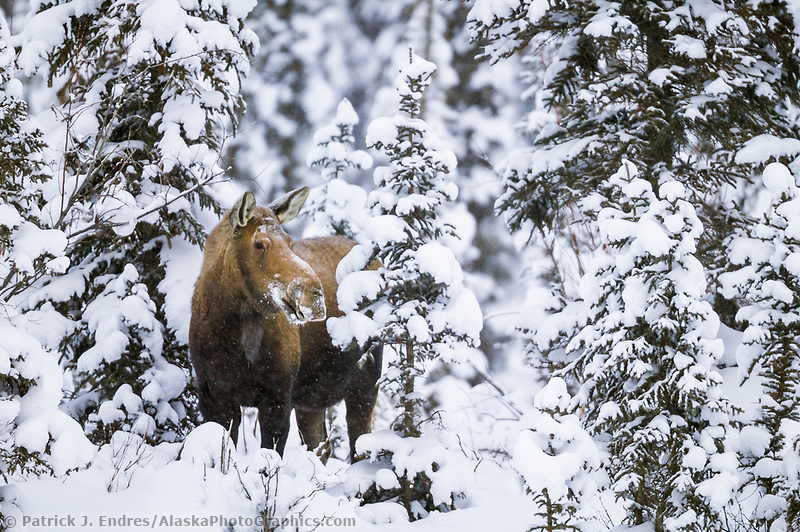 Moose have long thin legs that help them walk through tundra and snow. 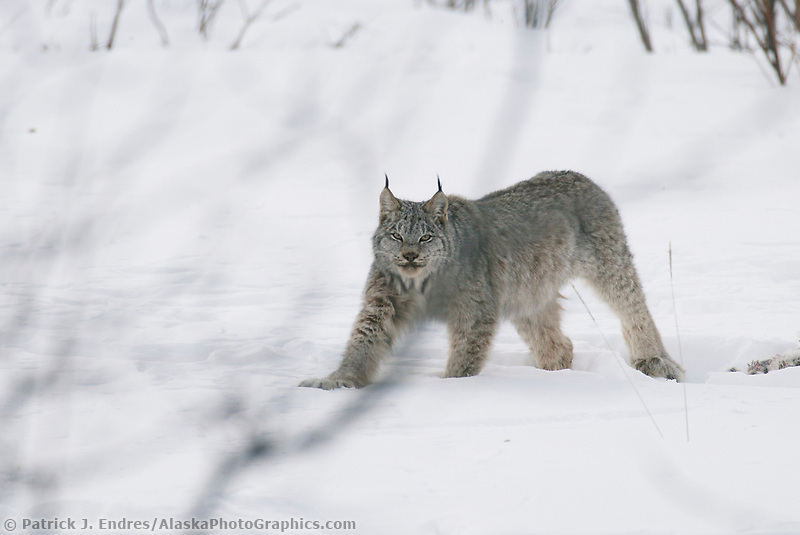 In Alaska’s Arctic, the lynx relies heavily on the snowshoe hare as a prey species. The Lynx population tends to follow the approximately 10-year long rise and decline of snowshoe hare numbers. Cryptic coloration (camouflage) serves both the hunter and the hunted. Arctic hares are completely white in winter except for a slight black tip on the ears and they are well camouflaged from their predators. 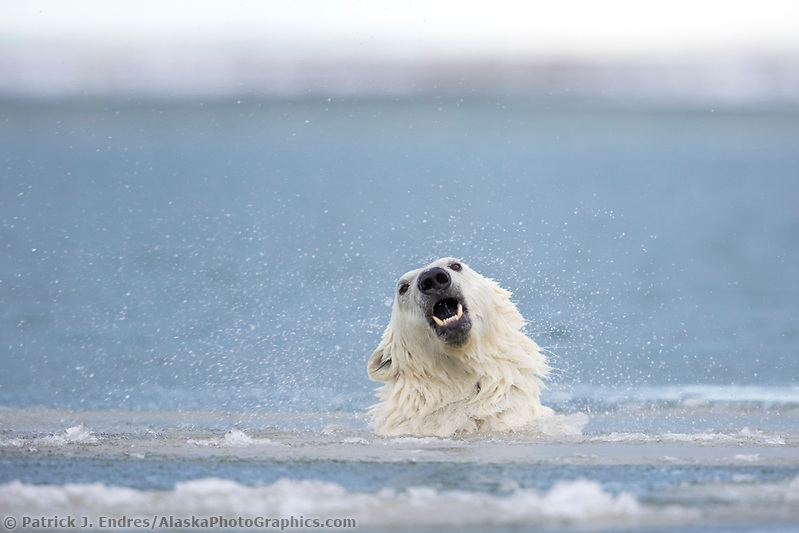 Polar bears, on the other hand, benefit from their white color to help disguise them when stalking seals on the ice.